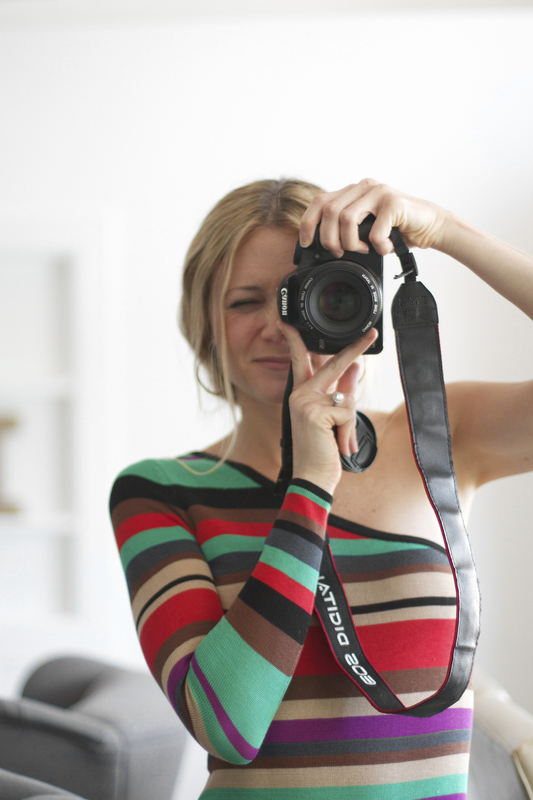 I'm testing out a new series here on the blog called "Behind the Blog!" In this collection of posts, I'll be sharing things I've learned about blogging ... a sort of "behind the scenes" look. I'll be dishing on monetizing a blog, growing a readership, photography tips, and of course some of my pitfalls along the way. If you already have a blog, I hope this series gives you a few new ideas. If you want to know how to start a DIY blog, I hope these posts give you everything you need to know about how to get started. And if you are just curious about the inner workings of a blog, I hope my musings give you some entertainment at least. So let's get started ... shall we? So the idea for this new series all started when I read an ebook called How To Monetize Your Food Blog (affiliate link!) by Kiersten Frase of the popular Oh My Veggies. I. Was. Blown. Away. She talked about something called an ad waterfall. I was like "wha?!" I have no idea what that is. And then I thought, why don't more people know what that is. And then I thought, gosh I want to share my mind-blown-ness with others. Hence the "Behind the Blog" series was born. I have always been intimidated by the ad terms mumbo-jumbo, but I learned that it's really important to understand it. And it isn't too hard once you learn some basics. So we all know what ads are: those little boxes you see on the right side of the page that seem to stalk where you have been on the internet. Many bloggers manage their own ads, and others use ad networks. Ad networks work with brands that advertise and then post ads on your page. Ad networks manage the ads. All you do is paste their nifty little code on your site and earn commissions. I think managing your own ads can be a great source of revenue, but for this post, I'm just going to talk about ad networks. Google Adsense, which is one of the most widely known is a PPC ad network. PPC stands for pay per click. This means that Google Adsense will pay you every time someone clicks on an ad on your website. Some websites have an audience that is "clickier" than others, so it is worth experimenting with these types of ads. So you might have heard the acronym CPM, but what does it mean? CPM stands for cost per mille. Mille means one thousand in case you didn't know. Why they couldn't just name it CPT cost per thousand is beyond me, but that's probably another post. Some ad networks pay on a CPM basis. What this means is they set rates for their advertisers on a cost per thousand impressions basis. An impression btw is the number of times an ad is seen. A CPM of $4 means that for every 1000 times an ad is displayed on your website, you will get paid $4. On a side note, ads with animations, video, or popups usually pay higher CPMs. Based on this rationale, you might assume if your site gets 100,000 page views per month, you will make $400 per month for an ad space. Unfortunately, there is a caveat. Ads are very rarely displayed 100 % of the time. When an ad network doesn't have an ad to display, they display filler ads: ads for their own network, public service announcements, or backfill ads. A fill rate is the percentage of time that an ad network has an ad to display. For example, a 40% fill rate means that for 40% of the time, the ad network will be displaying a paid ad. The rest of the time, filler ads/house ads will be displayed. Some networks will allow you to backfill their ad spaces with ads from other networks. This will increase your fill rate, and this is where the magic happens. Some ad networks do not allow you to backfill ads, so you need to ask this information when applying. So your next question might be how do I set up an ad waterfall? I have added just two new networks and have more than tripled my ad revenue. Below is a screenshot from Sovrn of how I set up an ad waterfall (I backfilled the Sovrn ads with ads from Google Adsense). Please refer to this image and follow the instructions below. Open up your first ad network. Put the code for your second ad network under something called a "passback tag." Some networks call it something else. Each network usually has a rep that can help you with this. Open your second network, and put the code for your third network under the passback tag. Open your third network, and put the code for your fourth network under the passback tag. Paste the code from your first ad network onto your site. After a couple of days check all of your networks to make sure you are receiving revenue from all of them. If you see any $0, something is wrong. Phew! That was a lot to digest ... huh? I could go on and on about this. There is so much great information to know. I hope this gets you started. I highly recommend reading Kierstin's ebook, How To Monetize Your Food Blog (affiliate link!) if you want more on this. She dives right into numbers, and you will be blown away. Please let me know if you have any questions, and let me know what you think of these kinds of posts ... honestly? Not sure how often I'll do them: once a week, once a month. I would love to hear your thoughts in the comments! And if you haven't started a blog yet and are just researching, please check out my How To Start A DIY Blog page. The information applies to all types of blogging btw. If you have started a blog, you may want to check out my Resources for DIY Bloggers page for more goodies.